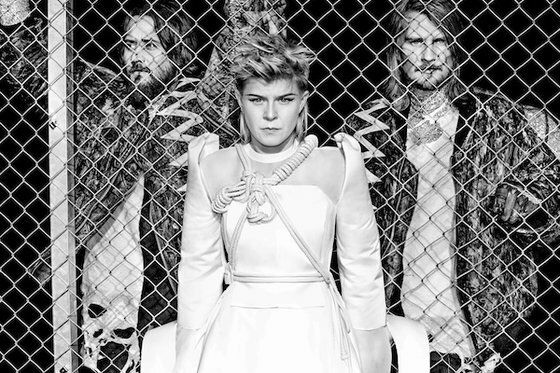 Röyksopp and Robyn previously announced a joint tour, then a collaborative EP (or a "mini album") titled Do It Again, and now the first song from the record has surfaced! The lead single "Do It Again" (that shares its name with the EP) premiered yesterday on the Annie Mac show on BBC Radio 1 and while currently available for pre-orders, it will be officially released on Monday, along with a lyric video. If you're a fan of their previous work (whether together or separately), or if you're just into some quality Scandinavian electropop, you certainly are in for a treat. Check it out below! It's going to be an excellent EP for sure, judging by these clips. Oh, and in addition, there were two other songs briefly available for listening but they were taken down due to unknown reasons. That's the internet for ya. "Inside The Idle Hour Club"
EDIT: ...aaand here's the lyric video, enjoy!